Gabart Ready To Ride Again! Thread: Gabart Ready To Ride Again! In little under a month François Gabart will be back at the helm of his MACIF trimaran, after a substantial optimization refit which will be complete at the end of July. "I'm impatient to see the result of all this teamwork," he said. Since his round the world record six months ago he has spent a lot of time doing sport, but also at the office with his team. When François Gabart returned from his round the world record on 17 December, he was a little exhausted. So, he spent time recovering with his family after the 42 days 16 hours and 40 minutes of sheer intensity. "The recovery period is not completely over. I will still need a few weeks to get back into shape," he believes. "My goal is to get back into full form by 4 November for the start of the Route du Rhum–Destination Guadeloupe." As the MACIF trimaran's skipper practically hasn't sailed in six months, he quickly got back to doing sport to make recovery easier. This has been mostly on water, in the form of kayaking, surfing and stand-up paddle boarding, in the very focussed manner we all know so well. "It's the ideal way to prepare yourself physically, but also in terms of sensations, especially since in the last few weeks I have been paddle boarding on a paddle with a foil. This comes closer to the kind of problems I encounter on my boat." 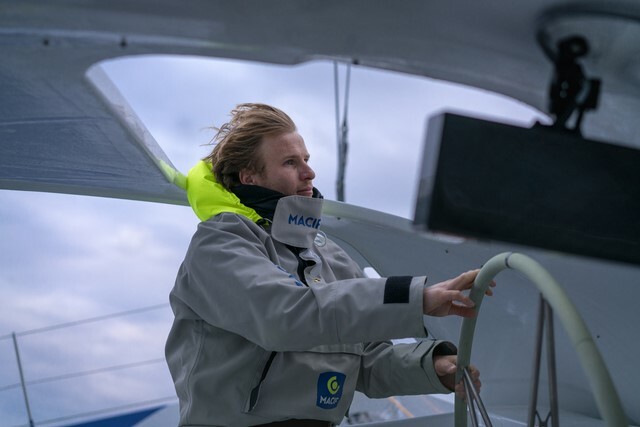 At the same time as getting back into shape, François Gabart travelled all over France to meet Macif's employees, who, for 42 days, passionately followed his triumphant march towards his record. "These are always special moments. If I do this job, it's because I'm really passionate about it, but it's also to share the things that happen to me afloat with the people who follow me ashore," he explains. After a lot of sailing the seas single-handed in 2017, François Gabart has spent most of his time with his team and in his offices in Port-la-Forêt in the last six months. The reason was simple: there was lots to do with, primarily, the transformation of the current MACIF trimaran to achieve a better flight mode. "Right from the start of the boats design, back in 2013, we factored in this development project. We already knew that we would need to make considerable changes during the winter refit of 2017-2018. We really got down to thinking about it in spring 2017, with most of the design work being carried out in the following months," he explains. This is a design phase in which he has been heavily involved: "It's important to be there to make sure that the developments match your requirements, when you need to push your boat to the limit at sea," confirms François Gabart, adding this about the over 6-month long refit: "The goal was to give MACIF a boost after more than two years of sailing during which we mainly worked on making her more reliable, successfully, since there was no major damage during the round the world. In this instance, we focused on performance and particularly flight, which is currently an important factor. The design work carried out with the MerConcept design office, the VPLP architects and GSea Design, specialized in structural calculations, has led to the construction of new appendages, foils and rudders, but also to a substantial number of details (hydrodynamics, new autopilot, improvement of ergonomics, etc. ), which will improve MACIF's performance: "The 2018 version of the MACIF trimaran is very different to the one we have all known up until now. We believe and we hope that this work will help us compete with other boats in the Route du Rhum, particularly the more recent ones. It will be an exciting race, because this will be the first time that our boats meet." On National Sea Rescuers Day, he will be a member of the "Lifesaving Armada", in Paris, made up of 250 sea rescuers from the SNSM (Lifeboats Association) and will paddle board down the river from the Pont de Grenelle to the Pont de Sèvres, all with the aim of bringing this association, greatly in need of funds, into the spotlight, so that it can continue to carry out this essential work. "Macif, a historical partner of the SNSM, has supported the Association from the start. Prevention at sea is a theme that applies to everyone, professionals and pleasure boaters alike. It's an unusual event. It will be great to have an event close to the people of Paris, who are less familiar with this world," says François Gabart eagerly. 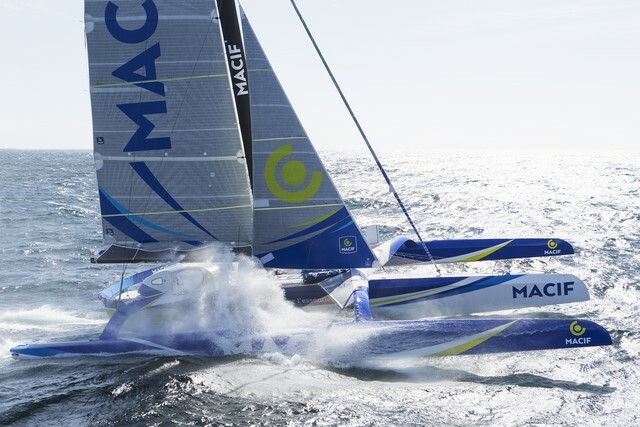 The skipper of the MACIF trimaran will be honoured in Brest, where he will be given the Trophée Saint-Exupéry, which, like the Jules Verne Trophy for the crew, rewards the holder of the single-handed round the world record.